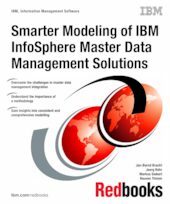 This IBM® Redbooks® publication presents a development approach for master data management projects, and in particular, those projects based on IBM InfoSphere® MDM Server. The target audience for this book includes Enterprise Architects, Information, Integration and Solution Architects and Designers, Developers, and Product Managers. Master data management combines a set of processes and tools that defines and manages the non-transactional data entities of an organization. Master data management can provide processes for collecting, consolidating, persisting, and distributing this data throughout an organization. IBM InfoSphere Master Data Management Server creates trusted views of master data that can improve applications and business processes. You can use it to gain control over business information by managing and maintaining a complete and accurate view of master data. You also can use InfoSphere MDM Server to extract maximum value from master data by centralizing multiple data domains. InfoSphere MDM Server provides a comprehensive set of prebuilt business services that support a full range of master data management functionality.